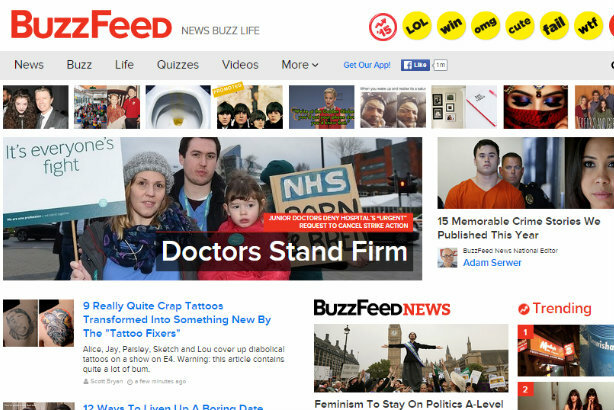 BuzzFeed says it wants to meet the UK advertising regulator to discuss guidelines around sponsored content from its brand publishers, after the regulator found an advertorial published last year was in breach of guidelines. An Advertising Standards Authority adjudication published today (13 January) said that it had received a complaint about an advertorial for the laundry product Dylon Colour Catcher that appeared on BuzzFeed on 9 October, which "challenged whether the ad was obviously identifiable as such". The ASA ruling said the advertorial was headed 14 Laundry Fails We've All Experienced, below which appeared the words 'Dylon Brand Publisher' and a logo for the Colour Catcher product. At the end of the article appeared the text: "It’s at times like these we are thankful that Dylon Colour Catcher is there to save us from ourselves. You lose, little red sock!" BuzzFeed responded to the ASA on behalf of Dylon. BuzzFeed said that as the ASA had not previously ruled on this particular issue, the publisher had "relied on its US practices to guide how it labelled ads", and explained other features that it said made clear the article was advertorial. The ASA decided that these labels "were not sufficient to make clear that the main content of the web page was an advertorial and that editorial content was therefore retained by the advertiser". It concluded that the ad was in breach of two rules and said it had told Dylon and BuzzFeed "to ensure that ads were obviously identifiable as marketing communications, including by using labels other than 'Brand Publisher' for advertorials". A spokesman for BuzzFeed told PRWeek: "We're currently reaching out to the ASA to speak with it about this recent update. We're always testing and iterating our ad products and will be reviewing the guidelines accordingly." At the start of last year, the ASA-compliant guidance from the UK's Internet Advertising Bureau warned that publishers must provide "prominently visible visual cues" to show pieces were native ads and not editorial pieces, as reported by PRWeek sister title Campaign. At the end of 2015, guidance from the US Bureau of Consumer Protection came to a similar conclusion, with an attorney for the body saying consumers should "know that it’s an ad before they interact with it". The Dylon page on BuzzFeed is now empty. Claudia Jungmann, brand manager at Dylon's parent firm Henkel, reiterated Buzzfeed's comment, saying: "BuzzFeed has worked with countless brands to produce high quality branded published content. BuzzFeed has told us they are reaching out to the ASA to speak with them about this recent update and wish to work with them to develop and implement best practices."